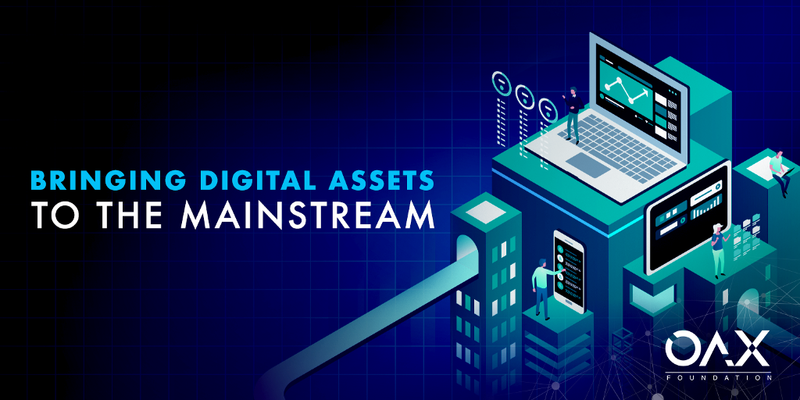 In many of our articles, we talk about our mission to bring digital asset trading to the mainstream. But what exactly do we mean by this and how realistic a prospect is it? The team at OAX Foundation is driven by the same belief that digital assets offer many benefits to society. These range from providing simpler, faster and cheaper transactions to helping significantly reduce the risk of fraud. And the underlying blockchain technology arguably has even more potential uses, from helping authenticate antiques to a tamper proof system of land registration. The potential digital assets hold isn’t in question. What is less obvious is whether they’ll ever be able to achieve that potential. And that’s what we really mean by saying that we want digital assets to move into the mainstream. We don’t want them to remain a quirk of the financial system, treated as special and distinct from other financial products — with separate conferences and a separate investor audience. Rather we foresee a time when digital assets are just another part of the financial system, fully integrated into our daily lives whenever we think about banking, saving or financing businesses. We also believe that time isn’t too far in the future. Lots still needs to be done to get there, which is where we at OAX Foundation come in. We believe openness, transparency and governance are the keys which will unlock the future for digital assets.